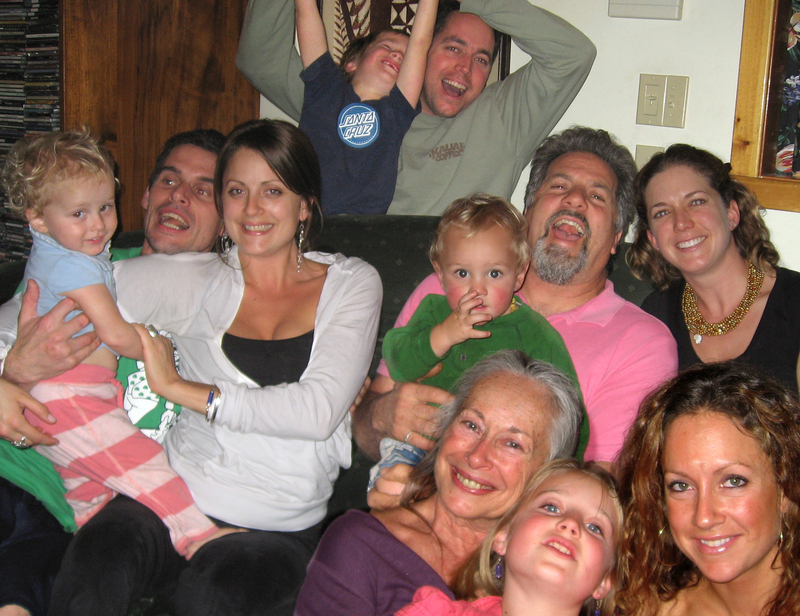 I consider my three children and four grandchildren my most important doula credentials. When my youngest entered kindergarten, in 1988, I began offering my services as a postpartum doula and have been busy ever since. I have supported almost 200 families in Santa Cruz County. References are available upon request. I specialize in new mothers, and twins. My main life interests are family and infant care; hula & Hawaiian culture; and writing. My book, The Gentle Art of Newborn Family Care; A Guide for Doulas and Caregivers is available from Praeclarus Press. I have a Bachelor’s degree from Hampton University, Virginia, where I studied psychology and sociology and learned about life. For many years I was the only doula in our area. At my suggestion, Twin Lakes College of the Healing Arts, in 2001, added a Postpartum Care class to their Birth Doula program, for which I developed curriculum and taught for six years. I also taught a 30-hour postpartum class for aspiring doulas on the island of Kaua’i. Many of my students were required to take my class as part of their education to become birth doulas. To my delight, upon completing my course, quite a number of them changed their career goals to become postpartum doulas. My article Supporting the Postpartum Family was published in 1992 by the (now out-of-print) magazine The Doula. It has been widely distributed and portions of it have been read at various birth-related symposiums. My essay Professional Grandma was published in the anthology Wondrous Child, the Joys and Challenges of Grandparenting, from North Atlantic Press, 2012. Please call or email, I look forward to speaking with you. I’m a new post-partum doula in Durham, NC and found you via a mention of your new book on digitalpress.com…but didn’t see anything about the book here; am I missing it? Thanks for your good work. Yes, there’s a page here about the book. It is available thru amazon.com, or Praeclarus Press. Look at the top of this page under My Book. Glad to hear from another postpartum doula! Best wishes in your work. Please enjoy the book! Thanks Salle! I’m looking forward to reading the book. We definitely needed an updated resource in this area. And that’s exactly why I wrote the book! Let me know what you think…thanks.